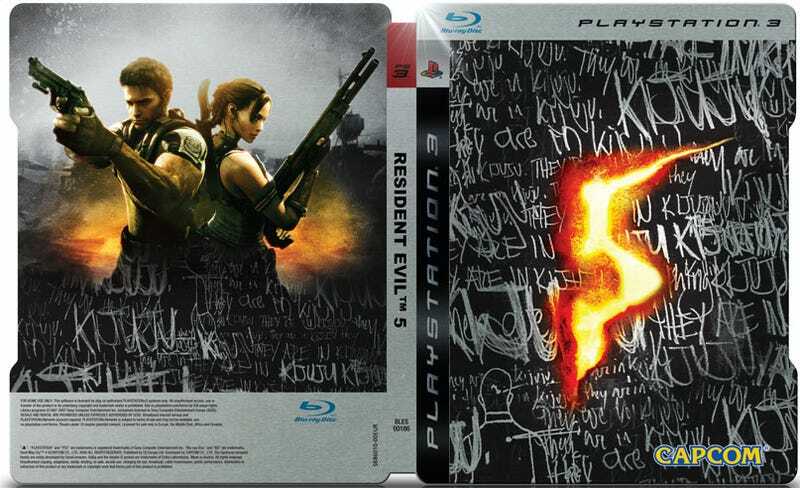 We've seen North America's Resident Evil 5 box art. Japan's, too. They're...OK, but not as nice as these puppies. Pictured is the box art for Europe's collector's edition of the game, and it looks nice. Otherwise known as the "Steelbook" edition, as you can see, Capcom's art team has taken the bonkers-mad "Kijuju" motif and just run with it. It includes the game, a steel tin box and a bonus disc including a documentary on the making of the game and...a Resident Evil Degeneration trailer.